As many members of the Church of Jesus Christ of Latter-day Saints have surely noticed, or will notice soon, our very own Brent Borup’s painting “Light of the World” is a prominent feature in the new 2019 Come, Follow Me – For Individuals and Families. 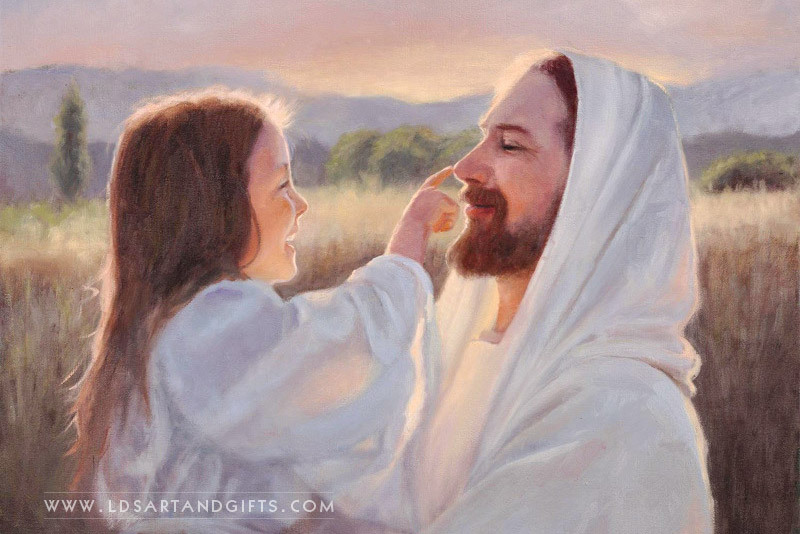 It is an absolutely beautiful portrayal of Christ and we’re so excited for him and for all the members across the world who get to see his incredible painting in their homes! 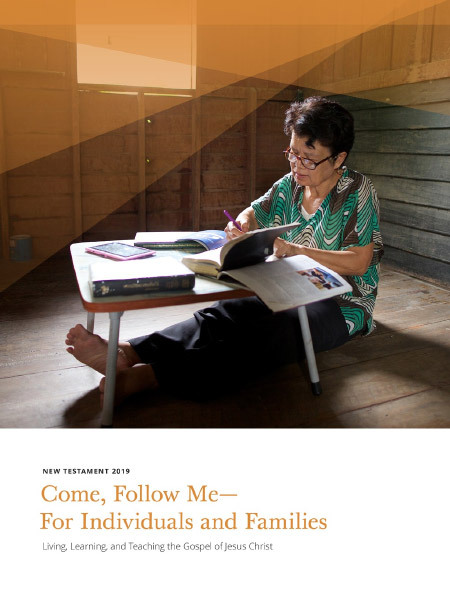 The focus for 2019 for individual and family learning is on the New Testament. And of course Jesus Christ is the center of the New Testament, and all scriptures. As such, Brent has been blessed with having his painting in the first section of both the printed book and digital versions of the resource. Brent’s artistic style is unique among LDS artists. His paintings are created using what he calls a mixed-media method. He begins by paintings the scene or subject with oil paints. Then he captures it digitally and begins a significant amount of additional digital work. The final result is a beautiful image that has a smooth, almost surreal quality to it, touched with delicate hints of light in all the perfect places. 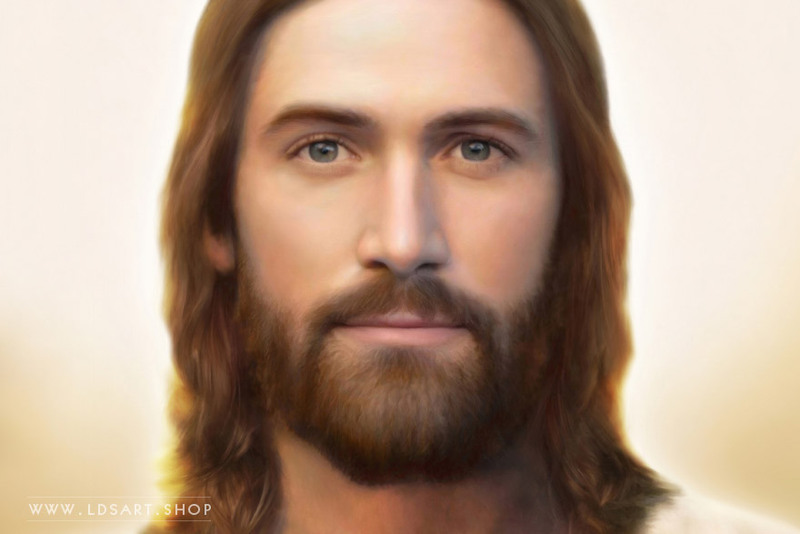 But regardless of the techniques and styles used, painting a portrait of Christ is not an easy task. Like many artists, Brent has spent years “trying to get that face just right.” Referring to his numerous portraits of Christ, Brent says, “I’m happy to be able to share these images with others.” And having his painting featured in Come, Follow Me is an incredible way to share the Gospel and Christ with others! We’re so incredibly happy for Brent and his success! We hope his other paintings of Jesus Christ may be featured in Church resources in the future. 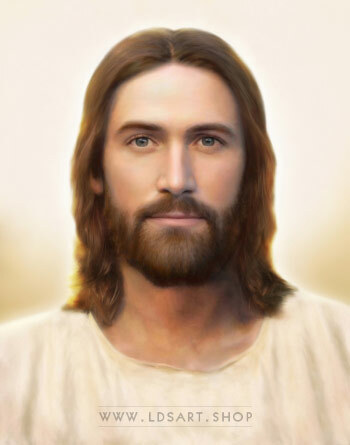 If you’re interested in purchasing a print or framed painting of his portrait of Christ, you can do so here. 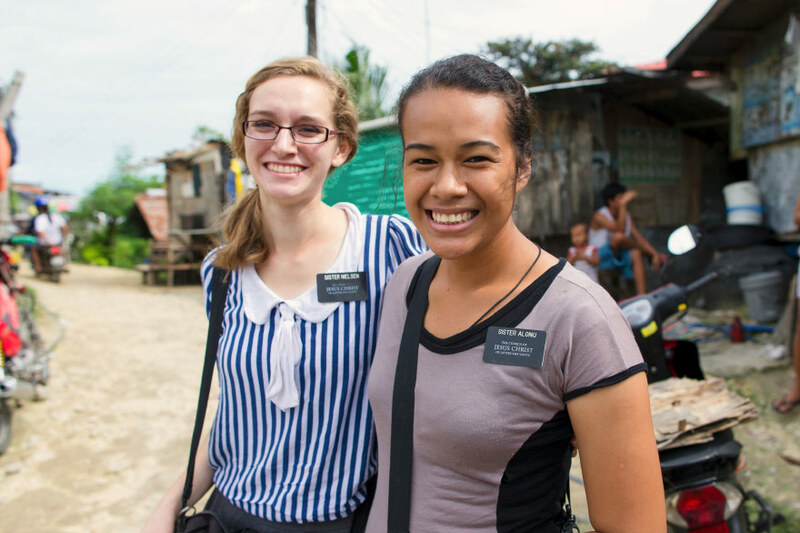 San Diego Temple – Sunset Painting Free! Jesus Christ – Whom Seekest Thou Painting Free! Jesus Christ on Blue – Painting Free! 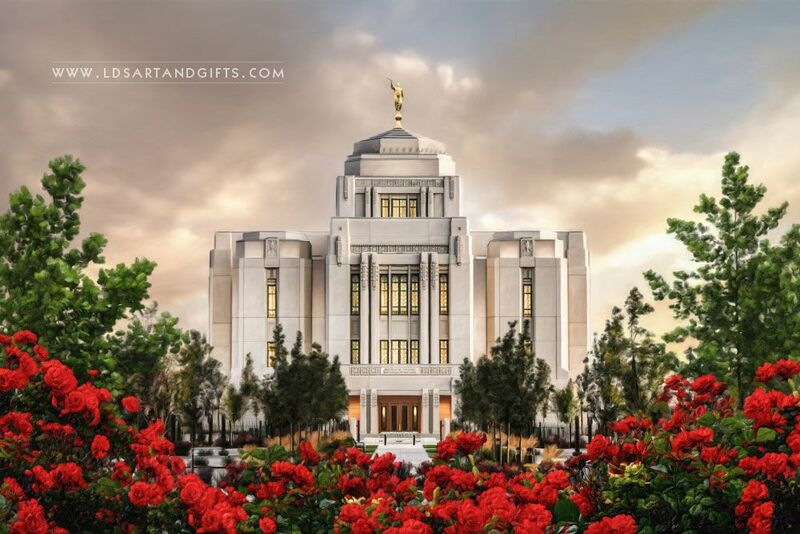 Cedar City Temple – Sunset Painting Free! 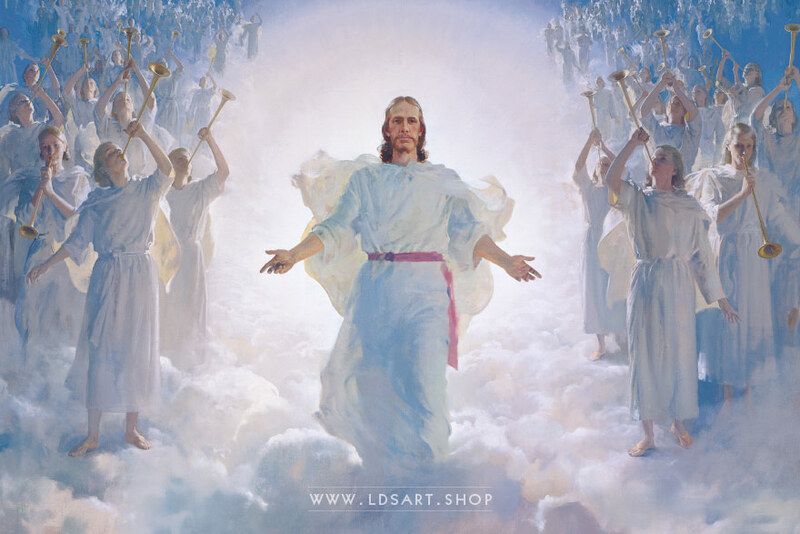 Loving Savior – Painting by Jon McNaughton Free!